As you might imagine, doctors are hesitant to endorse 'natural' erection pills. First, there's a strong bias in favor of prescription pharmaceuticals. Second, until now, there's been limited PROOF that natural supplements like ProSolution Plus™ can give men some comparable results to their prescription counterparts. And finally, there are too many snake oil salesmen peddling so-called 'natural' erection pills over the Internet that contain, frankly, little more than sawdust. Pure garbage! 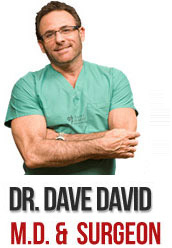 So it's really saying something that ProSolution Plus™ has earned the endorsement of Dr. Dave David -- practicing doctor, medical commentator on CNN and former faculty member at Harvard University. "As a doctor I encourage you to take a close look at ProSolution+ and consider how it could address your concerns about sexual performance. I'm all for natural alternatives to prescription medications where appropriate, and ProSolution+ earns high marks for its formula, the science behind it, and most of all, what it will do for you." Plus, as you've seen, the precise combination of ingredients included in ProSolution Plus™ has been STUDIED and TESTED in one of the first human clinical studies of its kind, with men aged 21-60. ... Further validating the use of this 'natural' supplement as an alternative to prescription pharmaceuticals for men whose erectile difficulties do not stem from medically diagnosed conditions for which their doctors prescribe drugs. Address the CAUSE of your sexual dissatisfactions... instead of just MASKING SYMPTOMS! Are shown to work in clinical trials on humans, conducted by medical researchers and scientists! Offer DRAMATIC Improvements to quality of life and are VERY well-tolerated! And when you use ProSolution Plus™, you're getting a superior formulation... backed by clinical studies & scientific research... fresh, quality ingredients... no known side effects... and our SOLID money back guarantee!